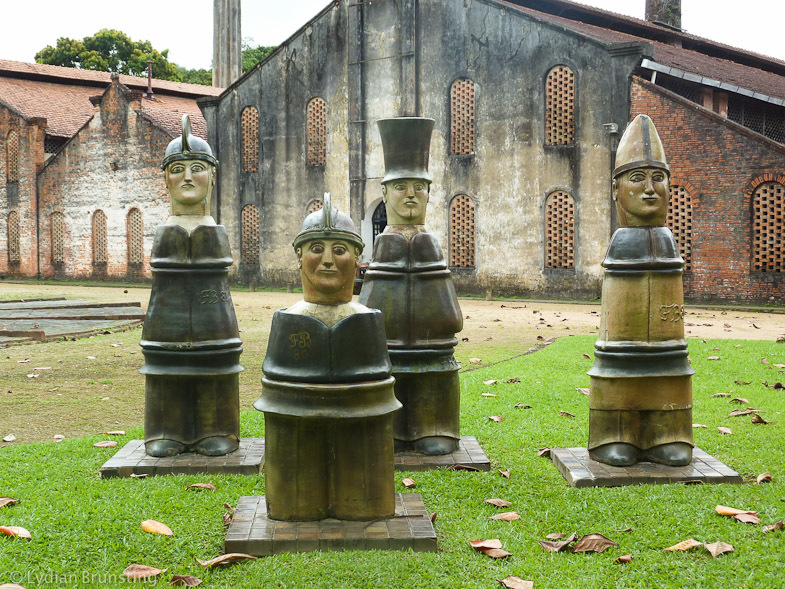 The Brazilian contemporary sculptor Brennand is likely mostly known for his large ceramic sculptures, more often than not representing sensual surreal figures and shapes. Without having seen his work in reality you might first wonder where the 88-year old Francisco Brennand got his nickname ‘The Master of Dreams’ from. After seeing his work – either in reality or in this post – you will likely understand this nickname a bit better. 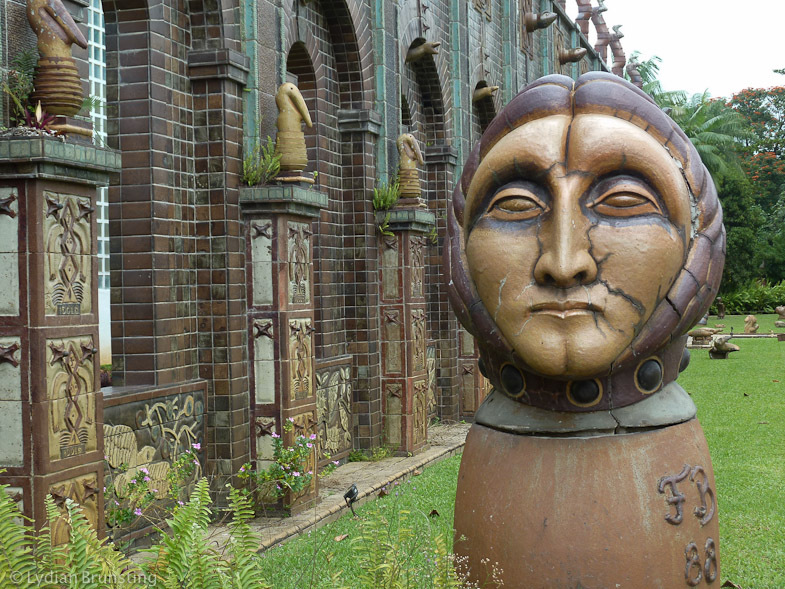 When we were travelling through Brazil for some months and heard that the dream-like Oficina Brennand was the place to see the sculptor Brennand’s work, we just had to make a visit to it, and we did. Let’s first start with mentioning that getting to the estate, situated in the midst of an Atlantic rain forest reserve in Varzea near Recife, is not that simple. Determined to travel as cheaply as possible we decided to see how far we would get by public transport. We ended up taking a taxi halfway however, as the route was – at the time – not clear at all and yes, we simply got lost somewhere in the outskirts of Recife. When you go there, we’d suggest to simply take a taxi from Recife, making things a lot simpler and – not unimportantly – giving you more time for your actual visit. 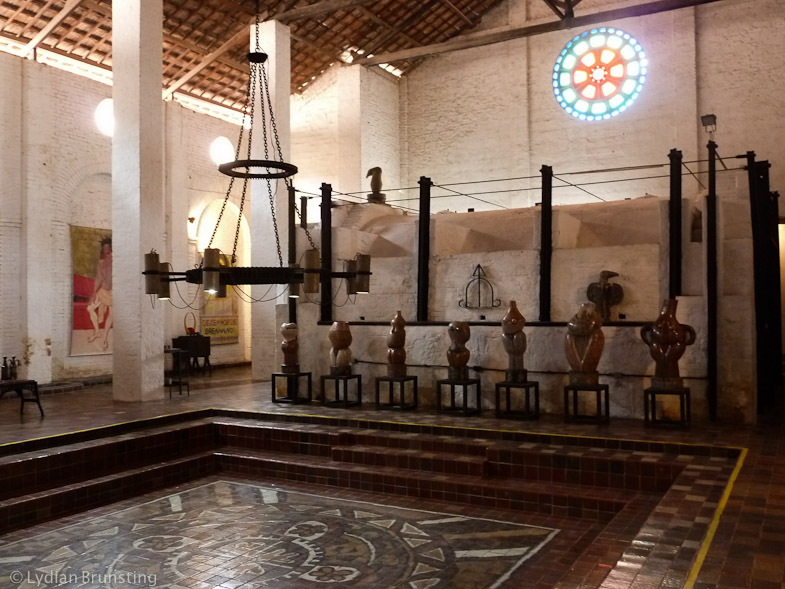 Once we arrived at the former tile factory we were really happy to have made the whole journey from Recife to Varzea. It was actually quite amazing to see what Brennand made here in the outskirts of Recife during large part of his life. 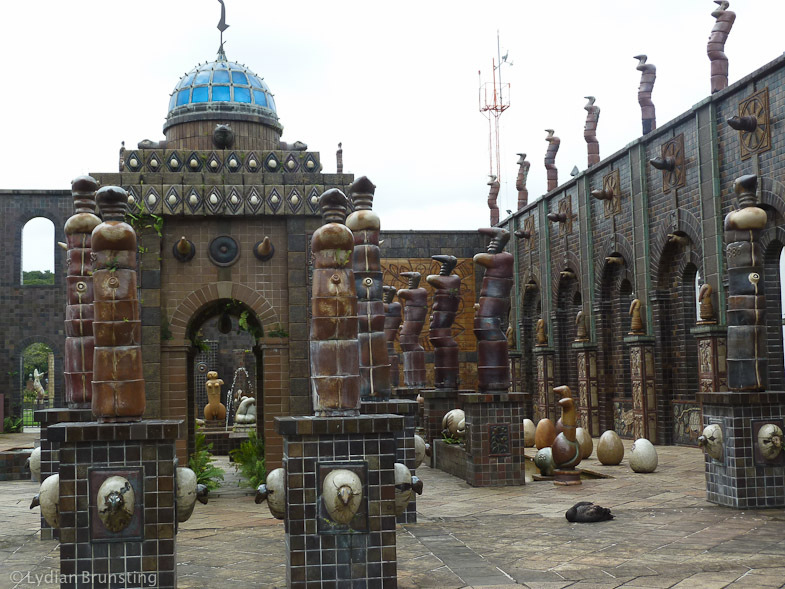 The converted tile factory is almost like a sanctuary for his art, where meters high surrealistic shapes and figures are awaiting your visit. Oficina Brennand is open to the public every day (opening hours Monday – Thursday 8.00am – 5.00pm, Friday 8.00am – 4.00pm, Saturday and Sunday 10.00am-4.00pm). Click here for more details in Portuguese. Like to see more of Brennand’s work? 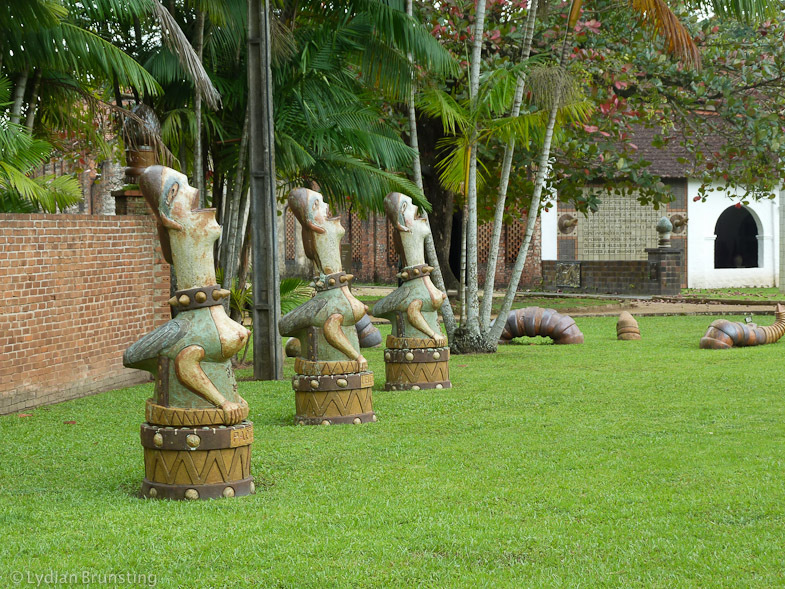 In the sculpture park in Recife’s Antigo district you can see more of his works. Brennand also had exhibitions at other locations like the Oscar Niemeyer Museum in Curitiba and the Pinacoteca in Sao Paulo.